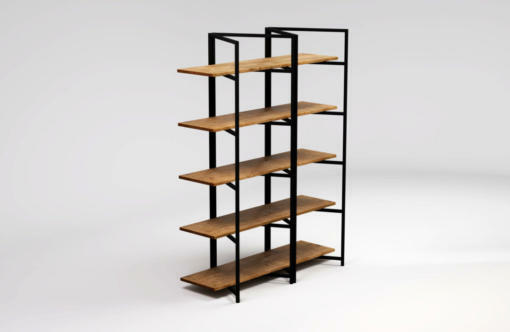 Modern openwork bookcase made of solid wood and black steel. 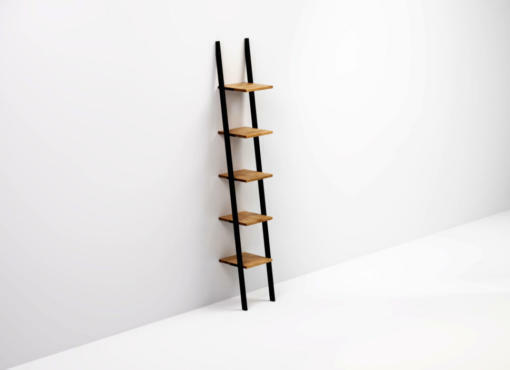 Shelves – 150 x 40 cm, 5 pieces, 2,5 cm thick, specially selected, structured solid oak wood. It has various shades, dark knots and bright lines running along and across the surface. Each product is made to order and therefore, depending on the batch of wood, it also has its own unique features, colour and wood grain. 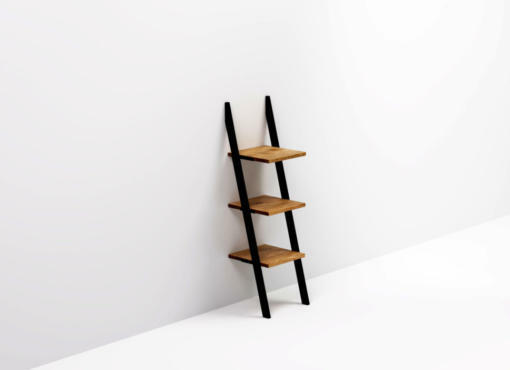 Thanks to the modular design BONITO BLACK bookshelf can be adapted to the optimum parameters of the interior, in which it is located. 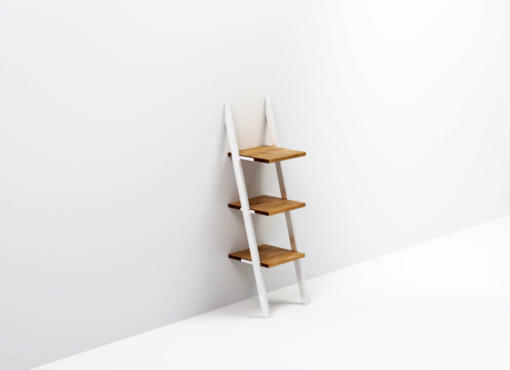 The system of shelves can also be specifically modified according to your needs. If necessary, the whole construction can be folded. BONITO BLACK has its own unique character and timeless elegance. 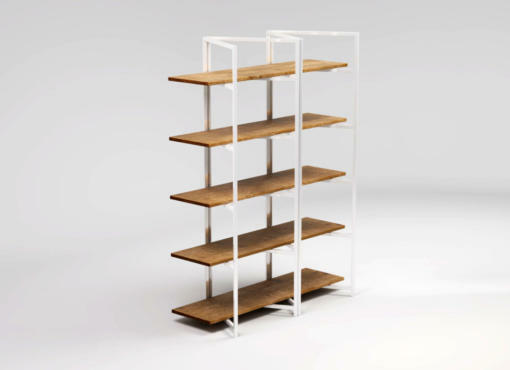 It works perfectly in a contemporary or modern industrial setting as a bookcase in the living room, wardrobe accessory, office storage or as a home library. It’s a perfect way to display your favourite items.